Clay tile roofing provides great aesthetics for homes with a southwestern or Spanish Colonial design as well as some modern design, and comes in a variety of colors. 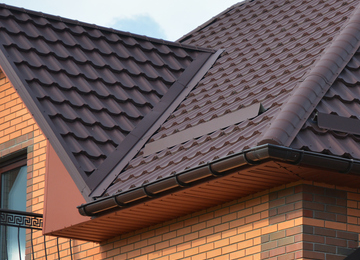 Tile roofing has an exceptionally long life cycle – and is expected to have a greater lifespan than that of the material on which the roofing rests. Tile does not rot or burn, and it cannot be harmed by insects. It requires little maintenance, and comes in a variety of colors, types, styles and brands. The clay tiles themselves are fragile, so walking on them can be difficult. Although they are fragile to weight, they are extremely resistant to the elements including harmful UV rays.